Take a limitless amount of high energy, throw in captivating and flawless choreography, add sweet vocal harmonies and finish by drenching it all with soul….. what do you have? 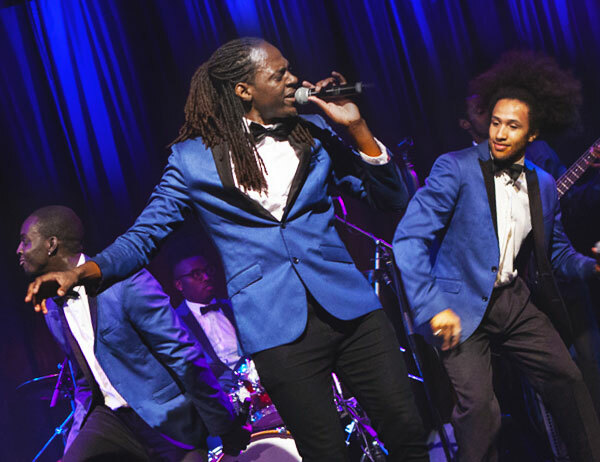 ….the perfect recipe for an incredible night of stand-out event entertainment with the Soul Brothers! At R&R we look for live music acts that have that little extra something. The Soul Brothers have that. They are not a band that you will simply bop along with your back to the stage and without giving a second glance to – They will have you mesmerised from beginning to end with a full on musical performance making you feel like you are part of the show!